“Picture this: A photogenic diva of a hotel, dressed to the nines in cultural embellishments of our Japantown locale – kanji script, muted Asian colors and refined textures. Add a layer of storied Barbary Coast history – black and white imagery, historic maps, lush fabrics. Then spice it up with the sizzle of a sleek veneer of contemporary minimalism and you have our hotel. Seeing is believing, so take a look at our colorful carousel of images showcasing one of San Francisco's best boutique hotels. 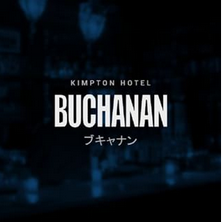 Formerly Hotel Tomo, now The Kimpton Buchanan. Located where Japantown, the Fillmore and Pacific Heights intersect, The Buchanan is San Francisco as you've always dreamed it – a vibrant neighborhood where some of the city’s best dining, shopping and cultural experiences tango together in endlessly entertaining ways. Now pair that with a sultry diva of a hotel that mixes the legacy of the Barbary Coast and our locale’s rich heritage with a thoroughly modern thirst for the good life. This boutique hotel’s over sized airy rooms, zen-meets-boutique chic ambiance and attentive staff await!